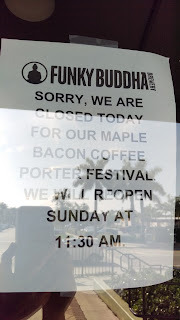 I didn't attend the prior two Maple Bacon Coffee Porter Day festivals hosted by Funky Buddha Brewery in Oakland Park. 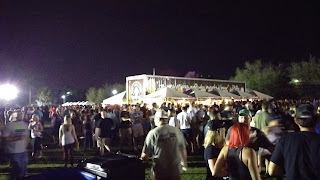 Last year (2015), the event fell about a week before an already-scheduled weekend trip for a concert in Fort Lauderdale. 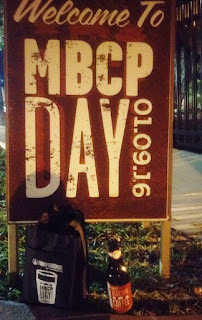 I had tracked the release dates of the prized MBCP around Lauderdale, and I was thrilled to find it on tap at American Social. 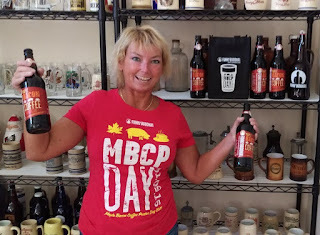 By the way, if you haven't figured it out yet, not only does this beer have its own Day, it has its own acronym (MBCP; it IS a mouthful). Was it really that good for all this hype? Short answer: Yes. 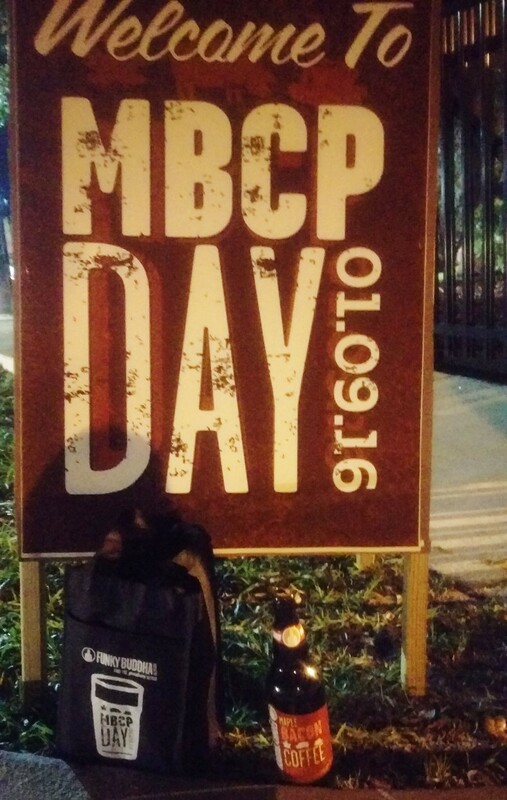 I loved it, and knew that there was no question that I simply had to attend MBCP Day 2016. So, late last year when the brewery announced the date for this year's fest (Jan. 9), I had my fingers on the keyboard as tickets went on sale in November. Tickets?????? For 2016, Funky Buddha changed the format of the fest, making it a ticketed event and limiting the number of tickets to 4000. 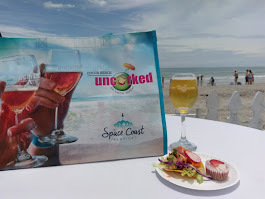 Three levels of tickets were made available: VIP (early access, rare beer sampling and 4 bottles); General Admission (admission plus 1 bottle), and Full Bottle Access (general admission, plus 4 bottles). 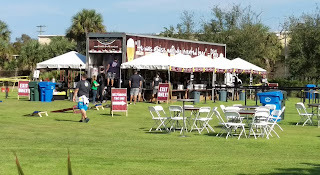 Instead of holding the Fest at the brewery, the event moved to the adjacent Jaco Pastorius Park along Dixie Highway. 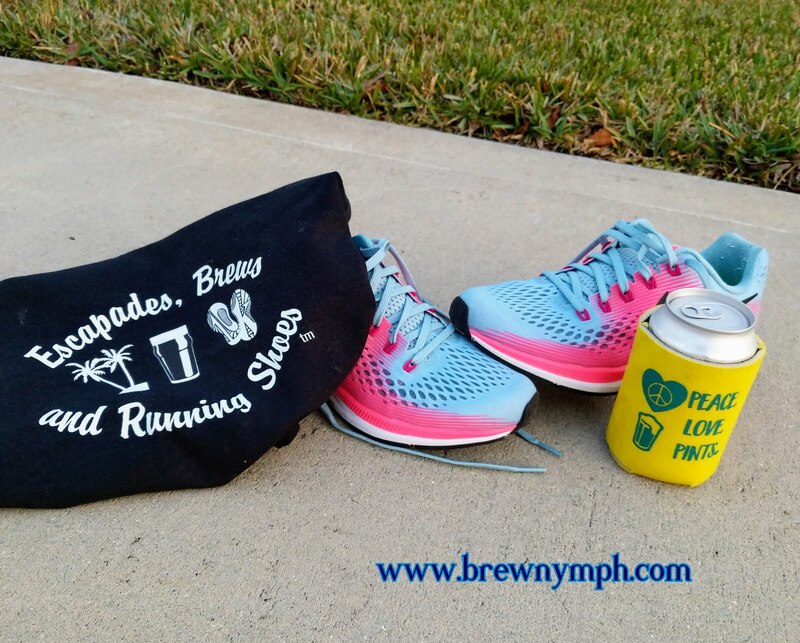 So, instead of having people wait in long lines at the crack of dawn for fest entry and a chance to get bottles of MBCP, the brewery streamlined things with the intention of having a manageable crowd and guaranteed access to pre-paid bottles. 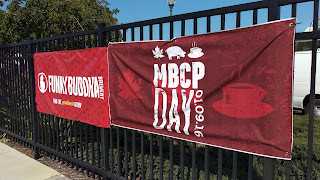 The brewery kept a dedicated website, http://mbcpday.com, updated with the tap list, FAQs and other must-know information, including an event brochure published just before MBCP Day. Tap list????? 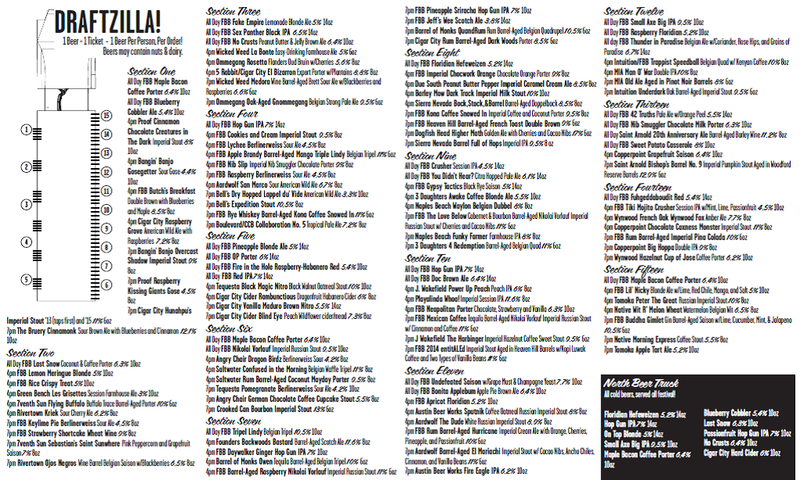 Yeah, OK.... tap list! When I first saw this, I printed it out and tried to "game plan" which ones to get. (I wasn't the only one to do that!) 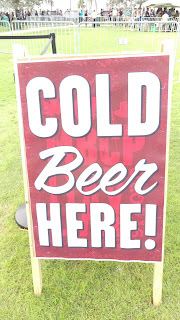 A number of the beers were on tap all day, with other timed tappings at 4pm and 7pm. Brown Distributing's "Draftzilla," a refrigerated rolling behemoth semi-trailer with draft taps, housed the kegs, and beer flowed. 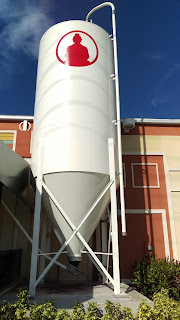 The brewery is located just around the corner. If you haven't been to Funky Buddha before, you'll have to come back, because the tap room was closed for the occasion. So, how'd this all work? MBCP (6.4% ABV, 35 IBU) is a liquid version of a breakfast. It has the aroma of maple and coffee, sweet and roasty at the same time. 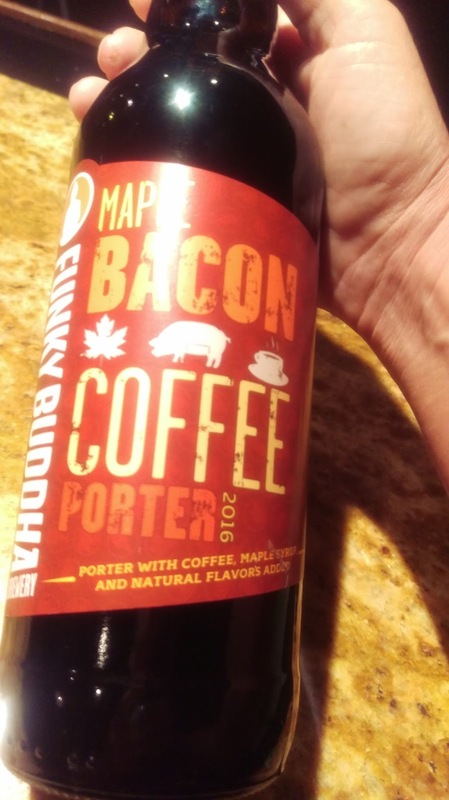 It tastes like -- well -- maple, bacon and coffee. It's also sweet-and-salty. There's a lot going on in this beer, and it all combines together for an awesome drinking experience. It's rated 100 on RateBeer, and 98 on Beer Advocate. One of my all-time favorites. 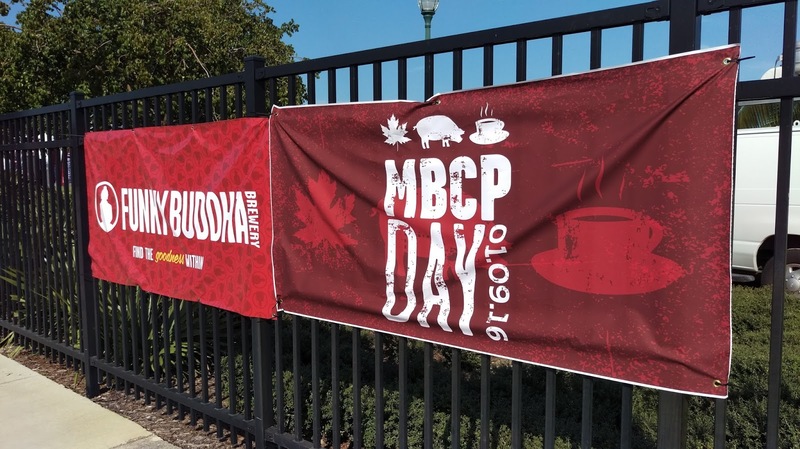 The MBCP was offered at several sections at the Fest, so you could find it pretty easily. 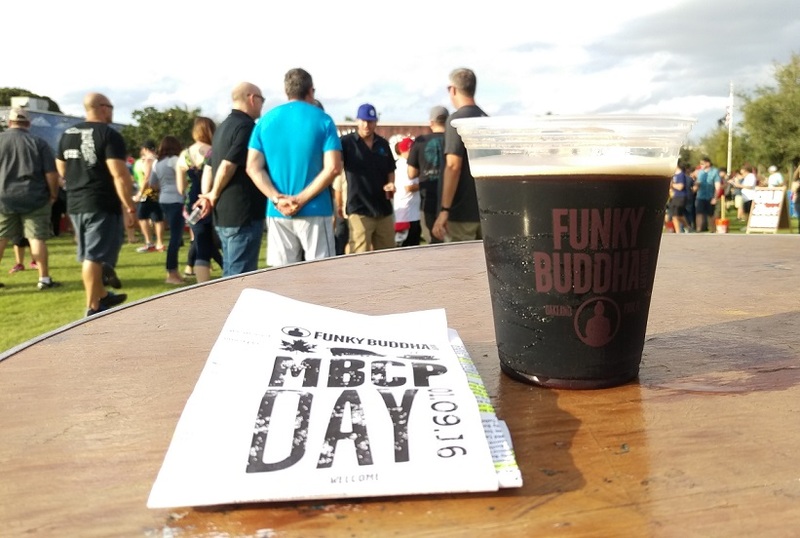 While most of the beers on tap were Funky Buddha beers (well over 50), there were at least 50 additional beers by other Florida breweries. A number of these were imperial stouts and barrel-aged beers. But, there were styles of all types. 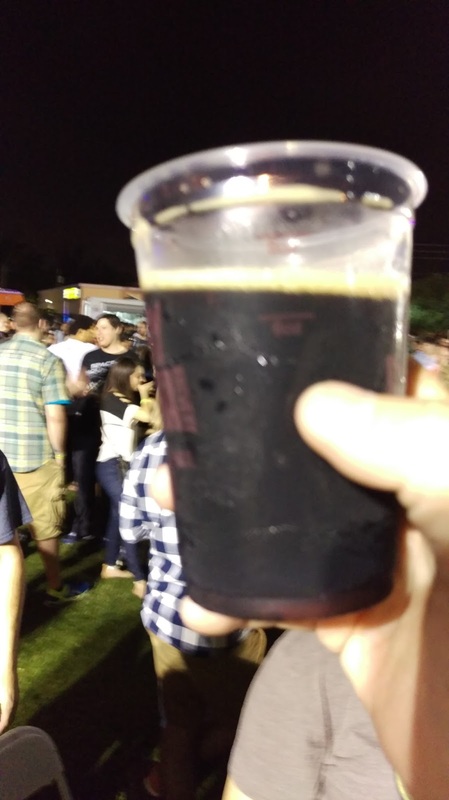 I enjoyed various new brews at this fest. 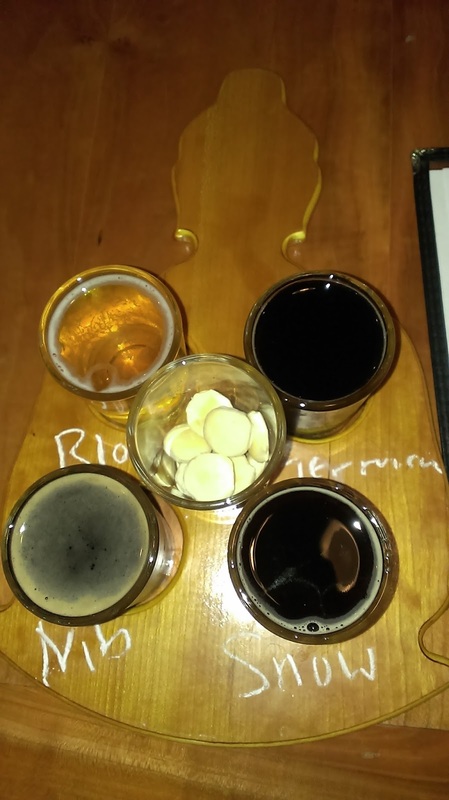 There were so many to choose, it was impossible to drink every one that I had noted on my "game plan." Once those 7pm lines diminished, it was pretty easy to just walk up to get the beers that survived. I actually found several very good selections still available at that time! 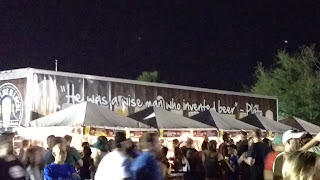 (no, the Hunahpu's® didn't last that long). 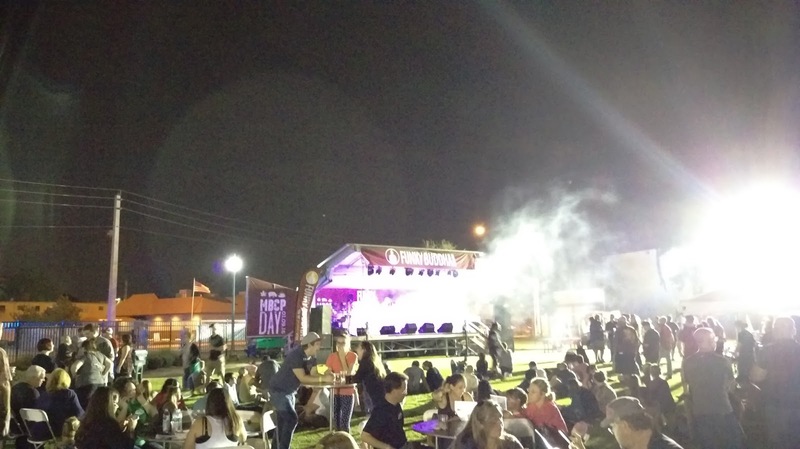 The fest included a music stage with three bands throughout the evening. Food options included Funky Buddha's new Craft Food Counter & Kitchen, along with food trucks. There were high top tables throughout for standing and table-and-chair set ups (some additonal seating would have been nice, though). Portable restrooms were located at one end of the park (maybe a few more could be used for next year, but that's always gonna happen). Last call was at 9:30pm. 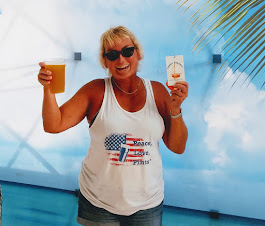 Upon exiting the fest, attendees turned in their wristbands to claim their corresponding number of bottles. 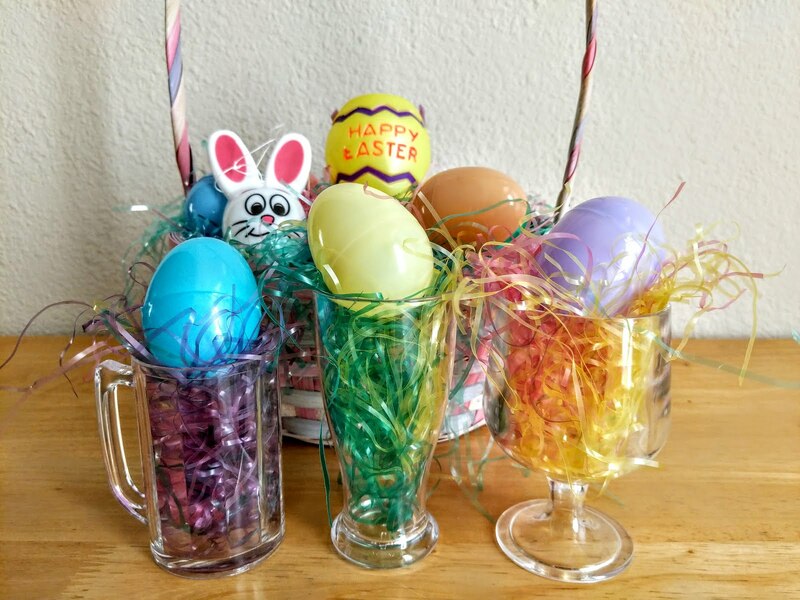 Yeah, I think I did OK, with my five bottles. 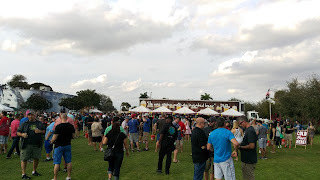 So, hey, I thought the fest was well-organized. Sure, there were lines -- but the longest lines were at 7pm, and you could anticipate that. Having MBCP at various sections was a good idea. 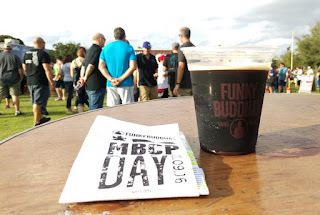 The variety of beers -- both Funky Buddha's and others -- was impressive to say the least. 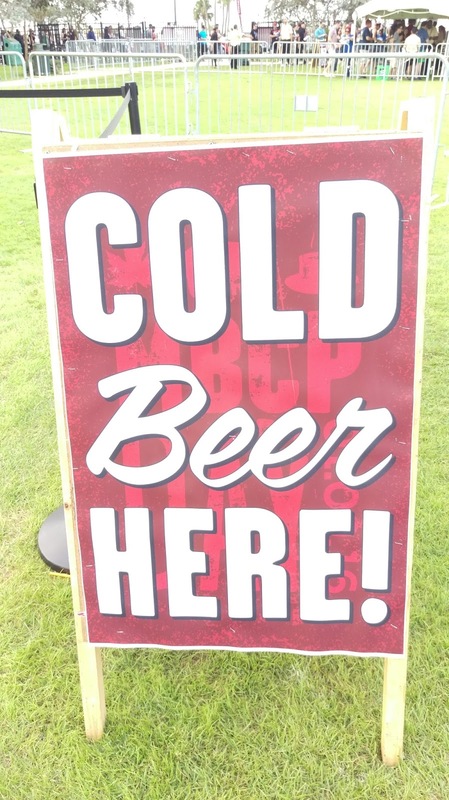 The list was much more than "core" beers. For someone from out of town, it was a great chance to have some beers I can't otherwise get. So, would I make the drive for this fest again? That's an emphatic Yes! I've been to Funky Buddha Brewery in Oakland Park a few times. 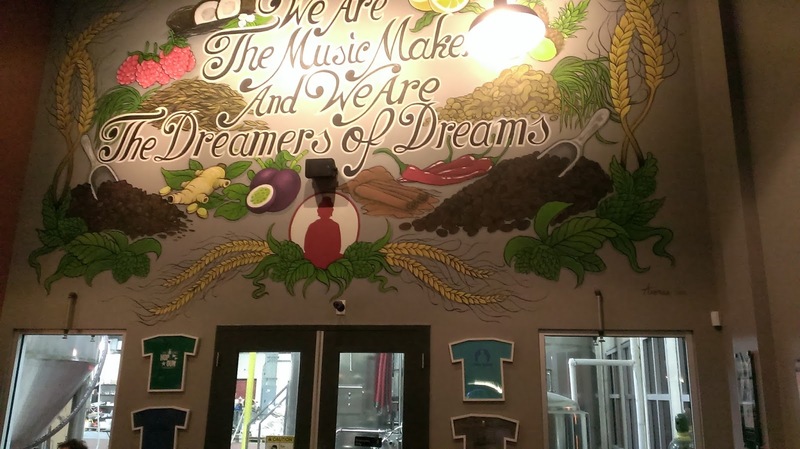 The brewery opened this location in June 2013, and my first visit was in September 2013 (check it out here). The opening of the place was a pretty big deal. 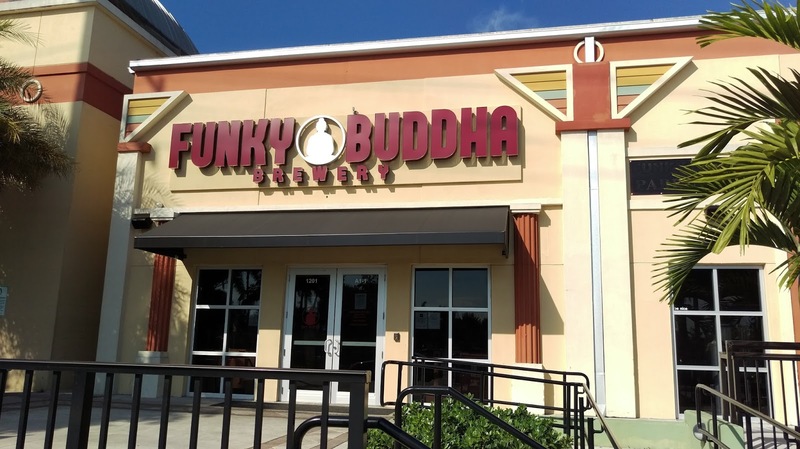 You're likely familiar with some of Funky Buddha's core beers (Hop Gun IPA, Floridian Hefeweizen) and its special releases (for example, Last Snow - -anyone heard of that one?). 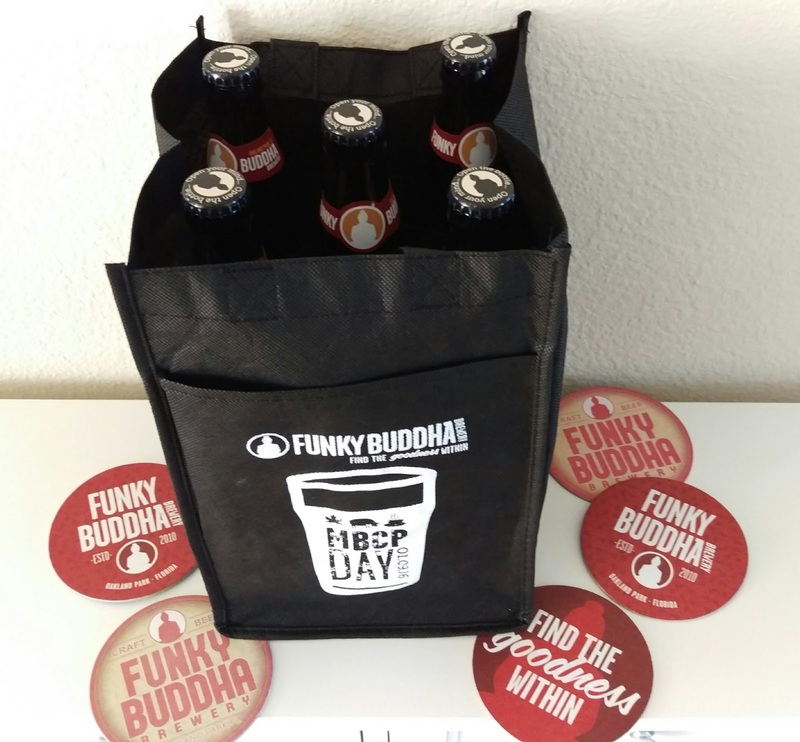 Funky Buddha Brewery started out in 2010 as The Funky Buddha Lounge & Brewery, a nano-brewery, located on Federal Hwy. in Boca. I've been there, too. The Lounge is a unique place, and it offers Funky Buddha craft beer as part of its over-100 craft beers list, teas, and hookahs. It's a very chilled-out place, with Buddhas and pillows. 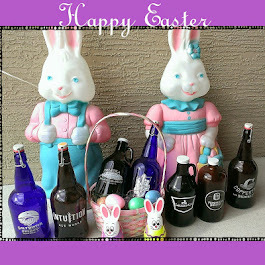 As the popularity of its beer grew, the brewery saw a need to expand, and, yeah, it did that ..... It set sights on the new location, going full board with a 30-barrel brewhouse and large-scale production capability. And, if you're looking for that laid-back nano, it's still there, too. 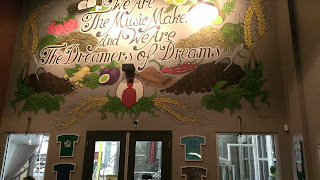 The nano brewery is still used for experimental brews. The production brewery is big -- over 54000 square feet --- and the tap room has a large bar and indoor/outdoor seating area. 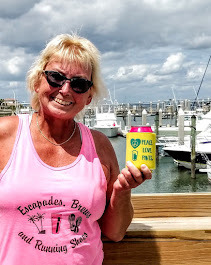 If you ever find yourself in the Fort Lauderdale area, check out both of the Funky locations. Go ahead, #GetFunky! Hey, beerfest season in Florida is here! There have already been a few, and more are on the way. 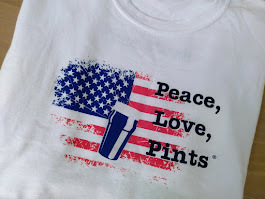 Check out the BeerSphere Events tab on my website, brewnymph.com, for listings. 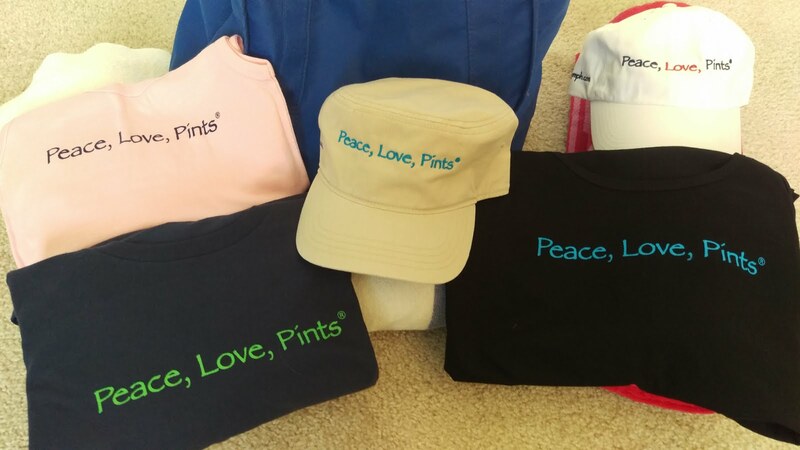 And, if you have an event you'd like to list with me that I might not know about, just let me know. I scour and search social media, newsletters and websites all the time for events, but it seems that there are always new events popping up!